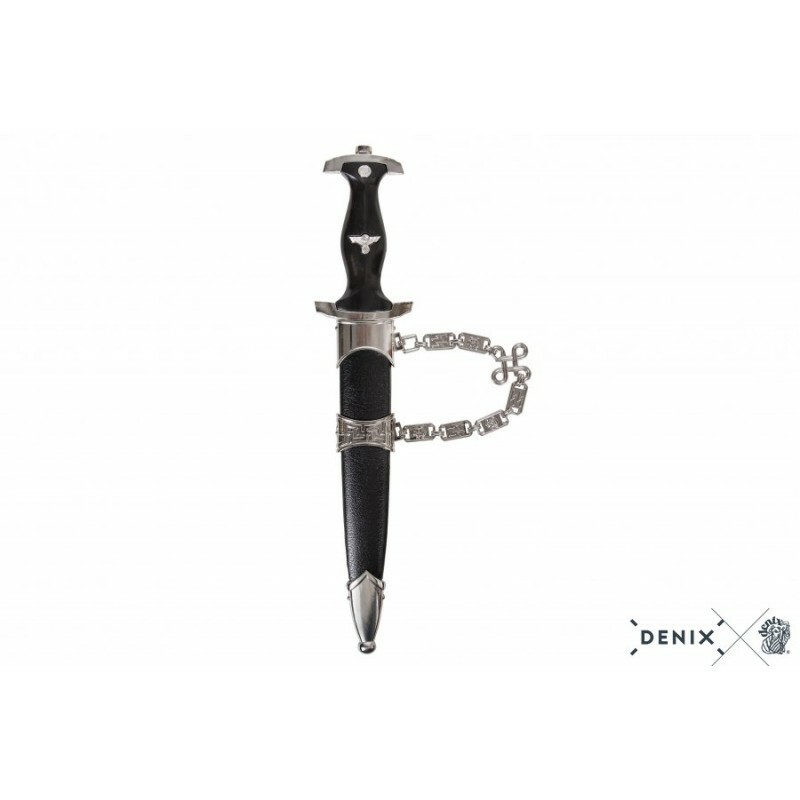 - SS Honor Dagger with black composition handle, which features SS runes and eagle. - The black metal sheath features nickel-plated fittings. 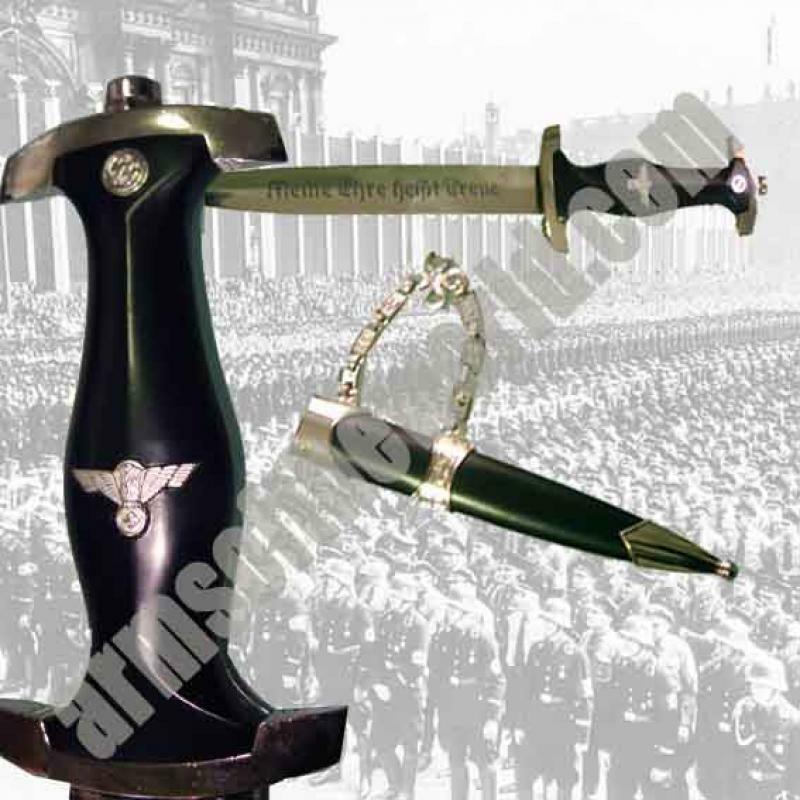 - The blade carries the inscription "Meine Ehre Heisst Treue"